Today’s job market is not the best it’s ever been. Not even close. 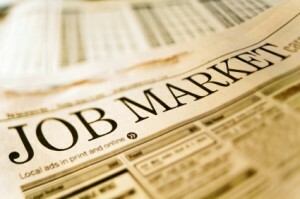 With more than 14 million Americans officially unemployed (just over 9% of the population) and almost half of those jobless for more than six months, chances are good that an employer with positions to fill will have applications from individuals who are currently out of work. Most recently, on August 11, The Huffington Post followed up with an article addressing this growing concern and talked about the results of their interviews with 19 of the organizations cited in the NELP report. “While several staffing firms defended the ads, employers disavowed them, saying they’d been written by a person outside the company and that they were completely unaware of the language used,” The Huffington Post reported. In an attempt to view both sides of this practice, we’ve had an extremely difficult time finding the logic in making current employment status a factor in whether an individual is considered for a job. That said, there are some instances in which one could argue in favor of this practice – let’s say in the case of an oncologist whose time away from work might make his knowledge of the latest cancer treatments out-of-date – but really, it’s a difficult argument in most real-world cases. Employers might believe that unemployed workers are more likely to have “problems” that would affect their safety at work. Employers want the best available talent and might believe that the best people are already employed. Employers – or according to the Huff Post article , more likely, staffing agencies — might want to avoid being overrun with applications and this exclusion provides an easy way to filter. Setting aside our belief that excluding unemployed workers is unfair, there is also the larger issue of strategic talent acquisition management and the business rationale behind this policy. At the height of the recent economic downturn many bright and talented workers were let go by employers who simply could not bear the expense. Those individuals have since gone on to either find new jobs or may still be out there looking for the right opportunity. For hiring companies, now is the perfect time to pick up experienced, talented workers who are hungry for the opportunity. By excluding them from applying, these companies risk missing out on these workers or instead may lose their skills to the competition. Furthermore, from a risk management perspective, the application process is not the place to weed out unemployed people for fear of what their problems might be. 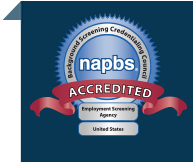 Instead, employers are wise to rely on employment background checks – which are conducted on final candidates – to uncover any background behaviors or qualifications that have not already been assessed that might impact their safety and performance on the job. In reaction to the fairness of this issue, on July 12th, Representatives Rosa DeLauro (D-CT) and Henry Johnson, Jr. (D-GA) introduced the Fair Employment Opportunity Act of 2011, which would prohibit employers and employment agencies from refusing to consider job applicants solely because they are unemployed. We can only hope that companies will take the time to review their employment policies and challenge the assumptions they’ve made about how best to build their workforce in today’s world.